YOUNG Plymouth rugby player Lagi Tuima has been named in England Women’s senior training squad. 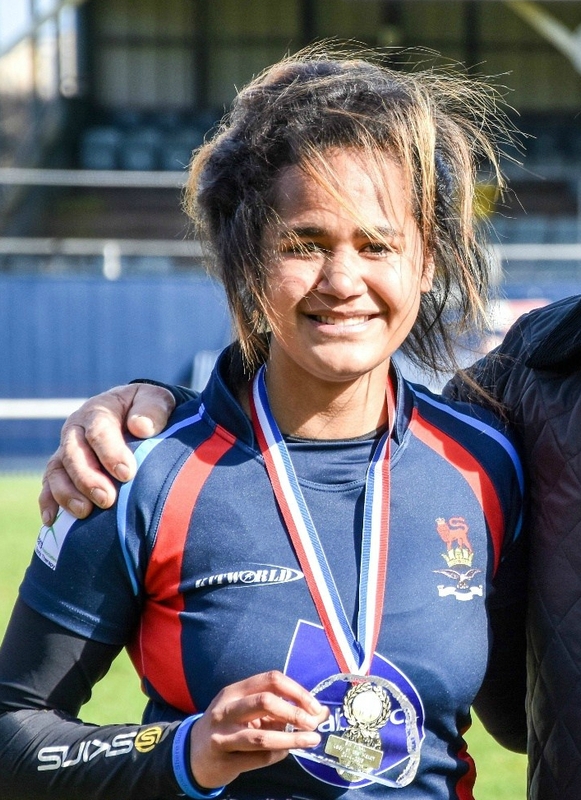 The former Devonport Services under-18 player, who is now playing top-flight rugby for Bristol Ladies, is one of 43 players selected for a camp. Also included is another Plymouth player, Courtney Gill, who is now playing club rugby for Gloucester-Hartpury. Forward Gill has already played for England, but utility back Tuima is uncapped at senior level. The England squad will meet on Friday before the party is cut for two training games against South Africa on Wednesday 18 and Sunday 22 October in Aldershot. The camp will be the first time England have gathered since the Women’s Rugby World Cup and will help the team warm-up for a three-Test series against Canada in November. “Firstly, to allow us to select the strongest squad for the upcoming season and secondly to give new talent invaluable playing opportunities as part of an international training team in games against South Africa. “Off the back of the training camp and games we’ll reduce the extended training squad numbers and name an Elite Player Squad (EPS) squad, who we feel is the right for the upcoming season. Also included in the squad is former Marjon prop Rochelle Clark, who is England’s most capped player. Backs: Rachael Burford (Harlequins Ladies), Amber Reed (Bristol Ladies), Dannielle Waterman (Wasps FC Ladies), Katy Daley-Mclean (Darlington Mowden Park Sharks), Leanne Riley (Harlequins Ladies), Lotte Clapp (Saracens Women), Jess Breach (Harlequins Ladies), Rachael Woosey (Darlington Mowden Park Sharks), Celia Quansah (Loughborough Lightning), Zoe Harrison (Saracens Women), Ellie Kildunne (Gloucester-Hartpury), Abbie Dow (Wasps FC Ladies), Lagi Tuima (Bristol Ladies), Lucy Attwood (Bristol Ladies), Brooke Bradley (Bristol Ladies), Charlotte Pearce (Loughborough Lightning), Lauren Cattell (Saracens Women), Kelly Smith (Gloucester- Hartpury).